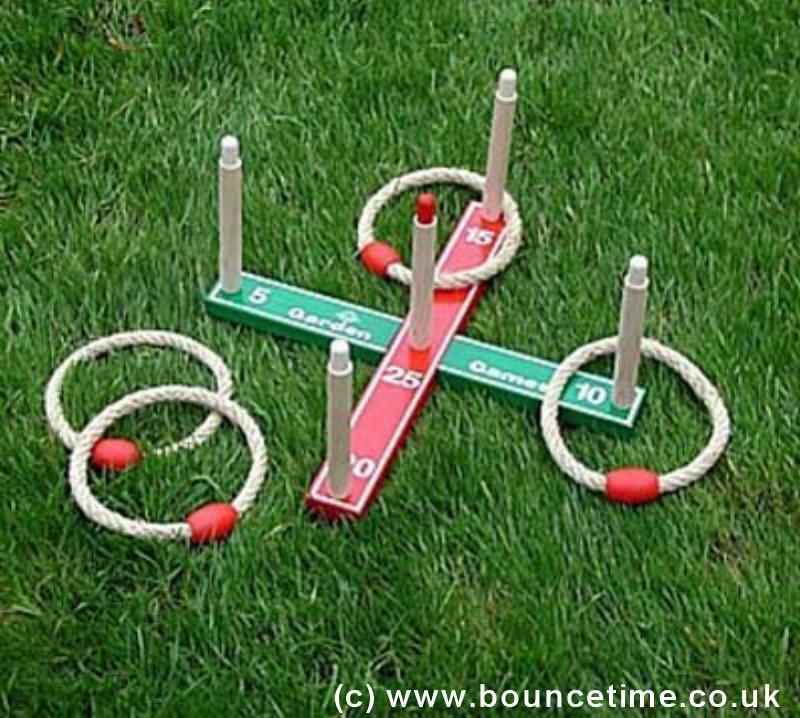 Quoits Giant Garden Game - Bouncy Castle Hire 4 Kettering, Corby, Wellingborough, Rushden, Raunds, Rothwell, Desborough, Market Harborough, Adult Castle, Slide, sumo wrestling, Sumo, Crazy Games, Giant Garden Games, Northamptonshire. Our inflatables are ideal for kids parties, adult parties, Garden Party and a corporate or business event. Large and small events are catered for and we are fully insured. We offer cheap and discount prices in school holidays and for larger events. A simple game of skill and accuracy, where all the family can compete on equal terms.